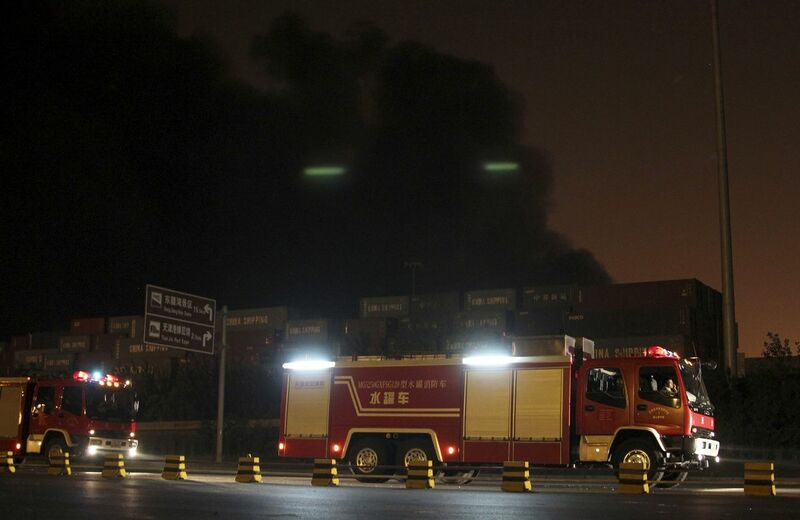 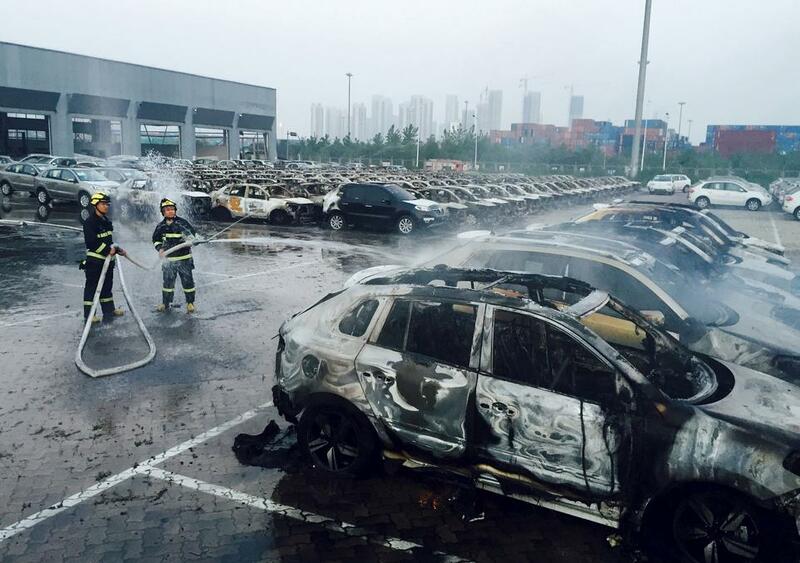 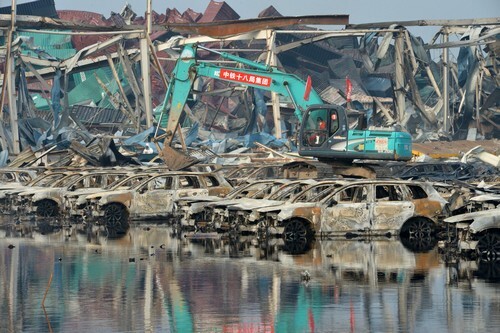 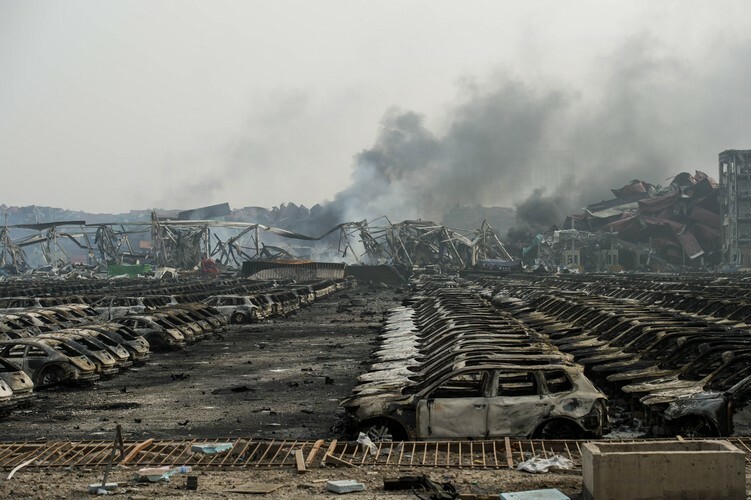 China has defended the firefighters who first hosed water onto the blaze in a warehouse storing volatile chemicals, which foreign experts said could have contributed to the two huge blasts that ripped through Tianjin. 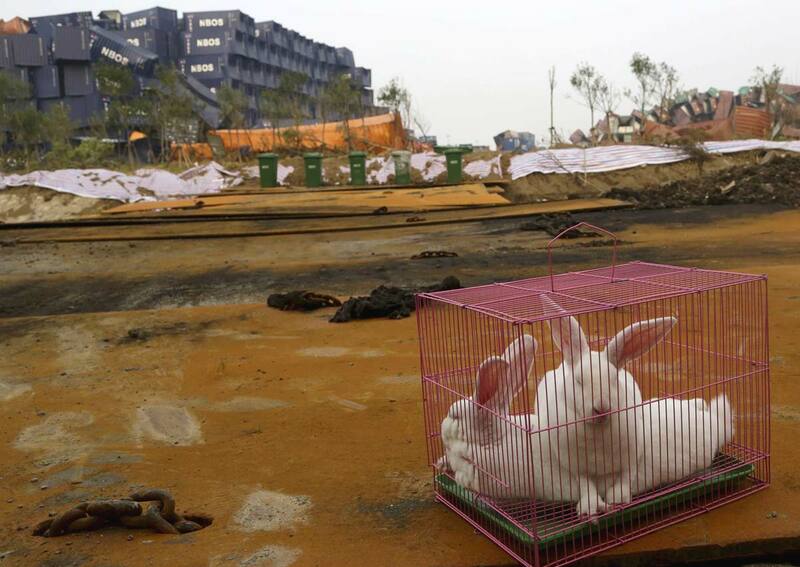 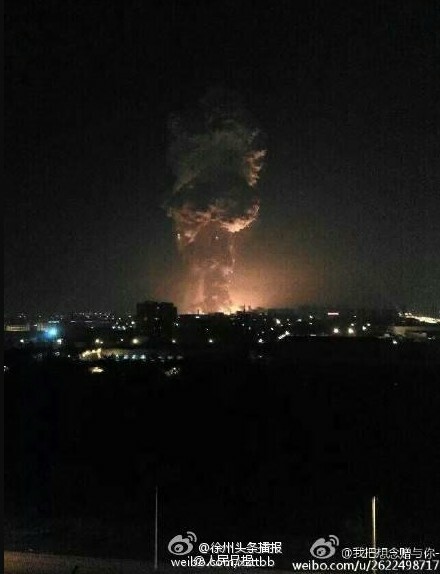 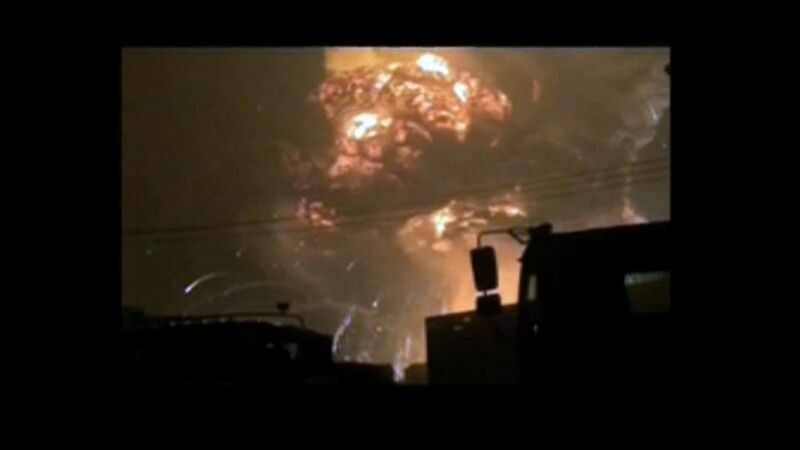 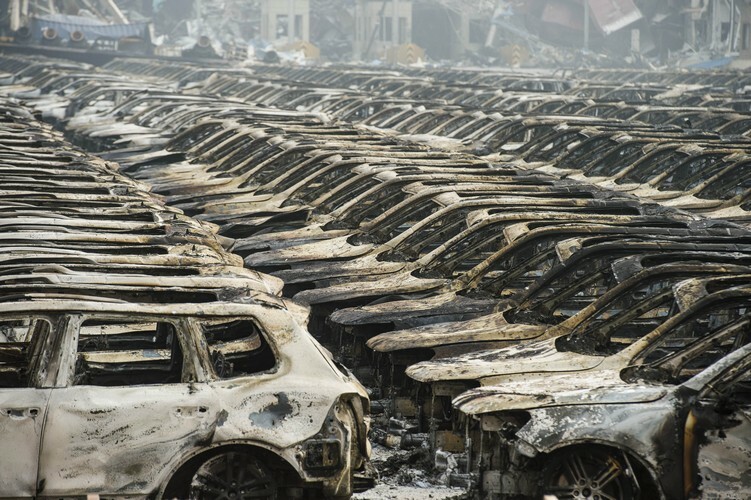 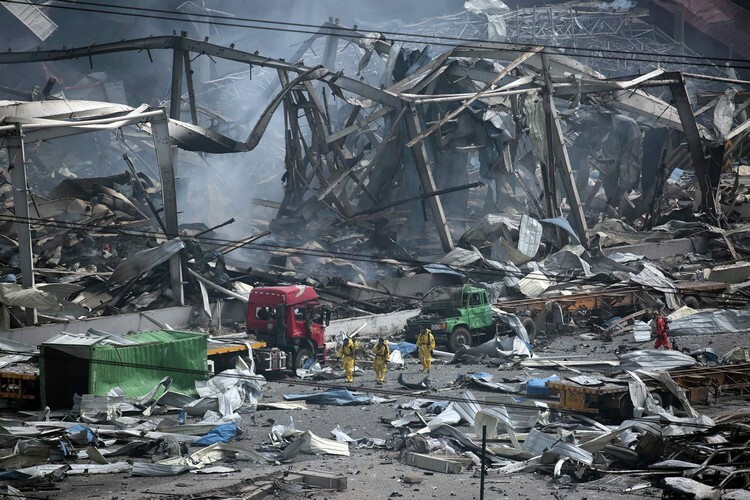 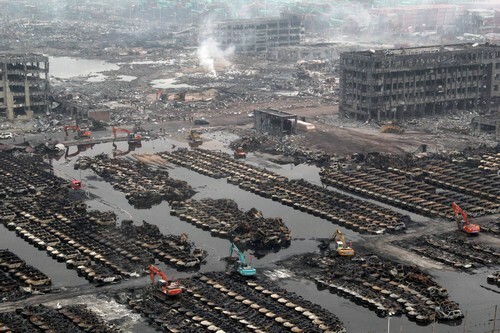 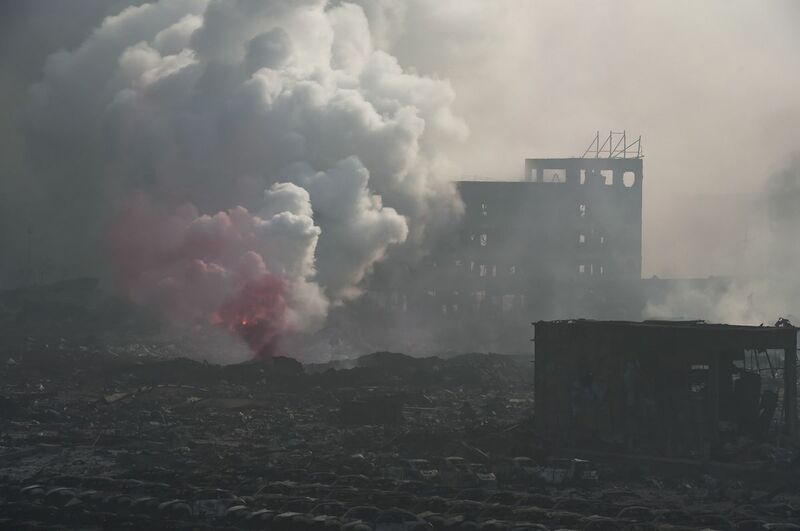 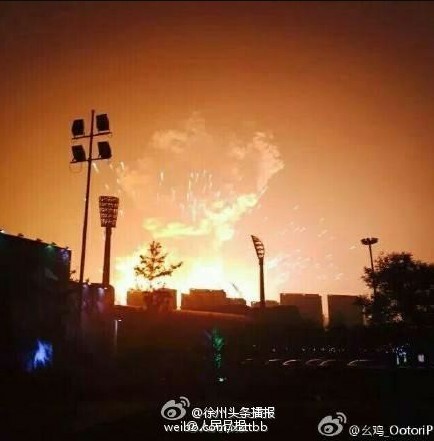 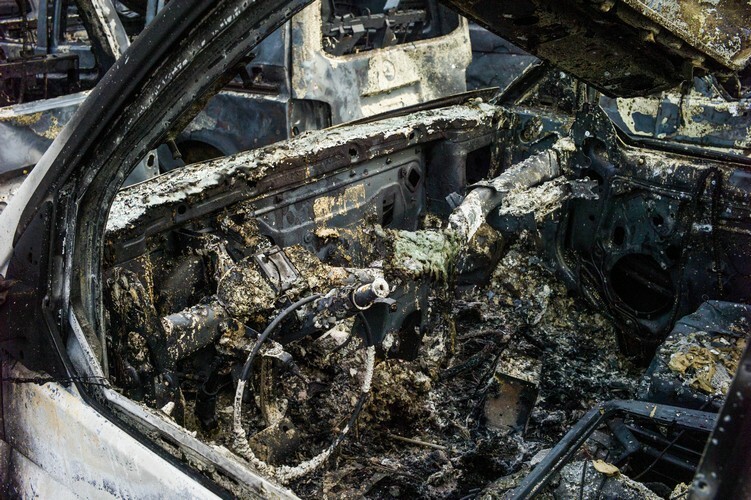 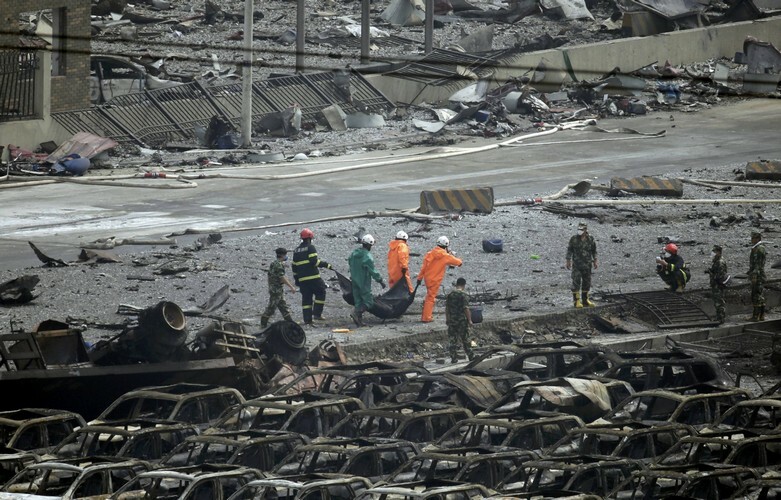 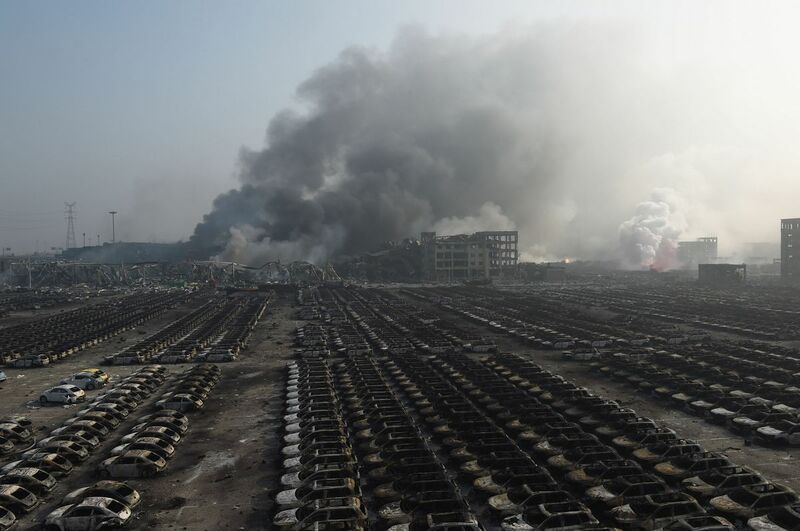 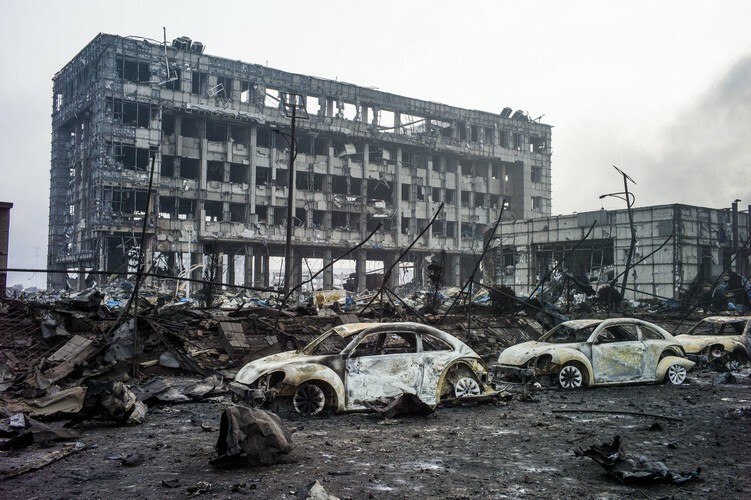 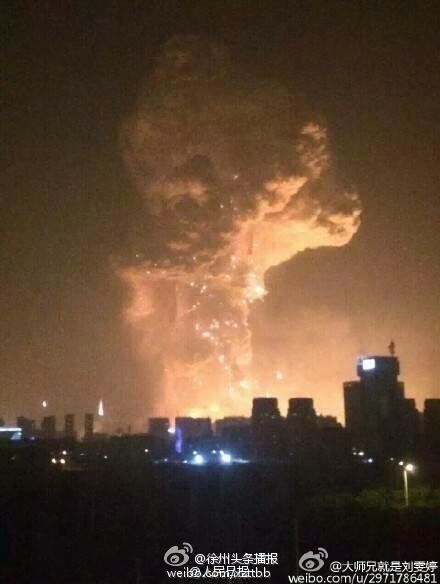 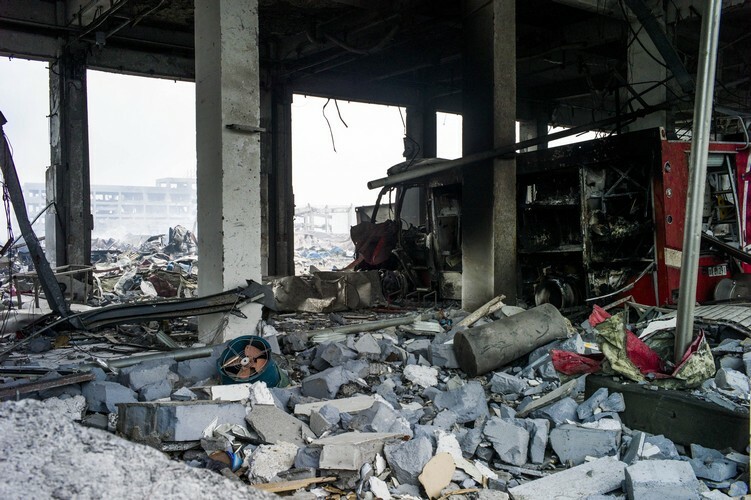 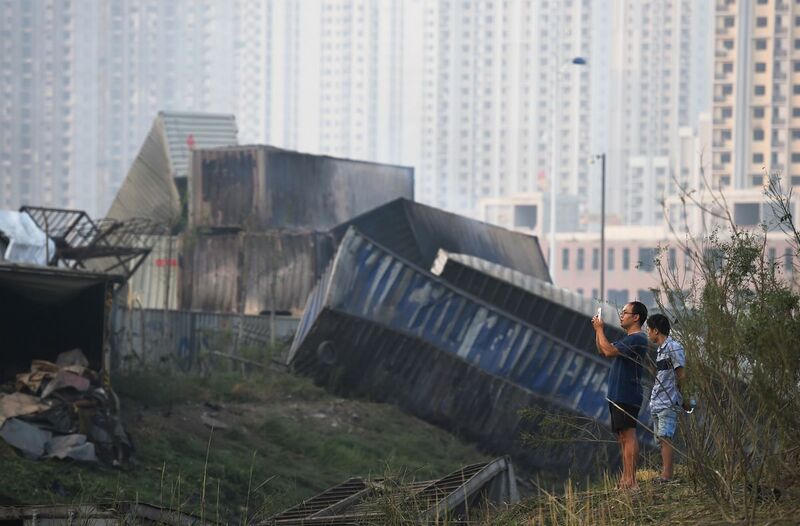 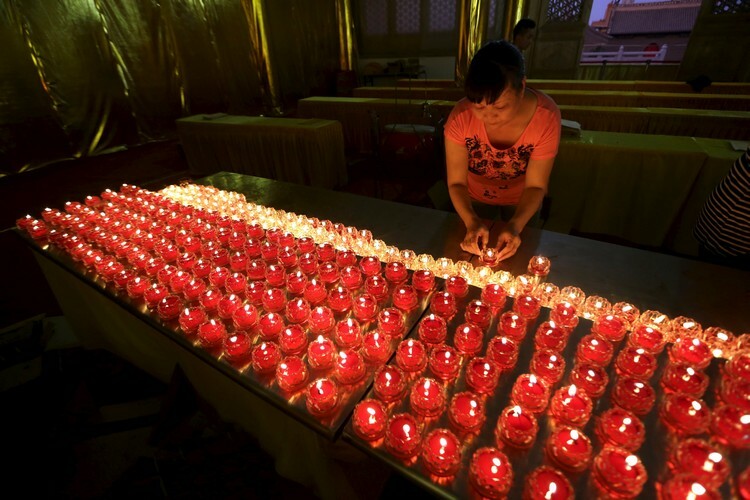 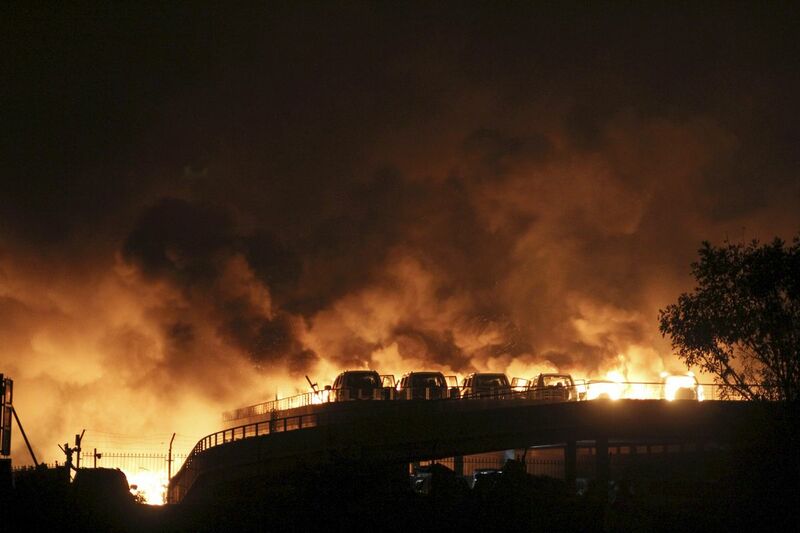 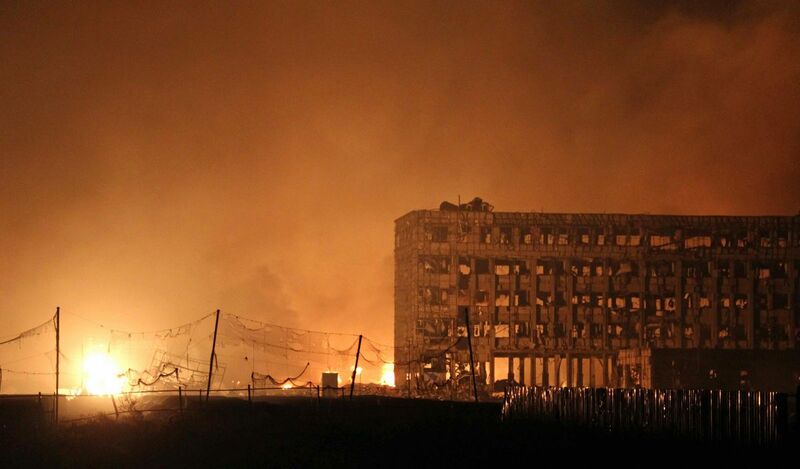 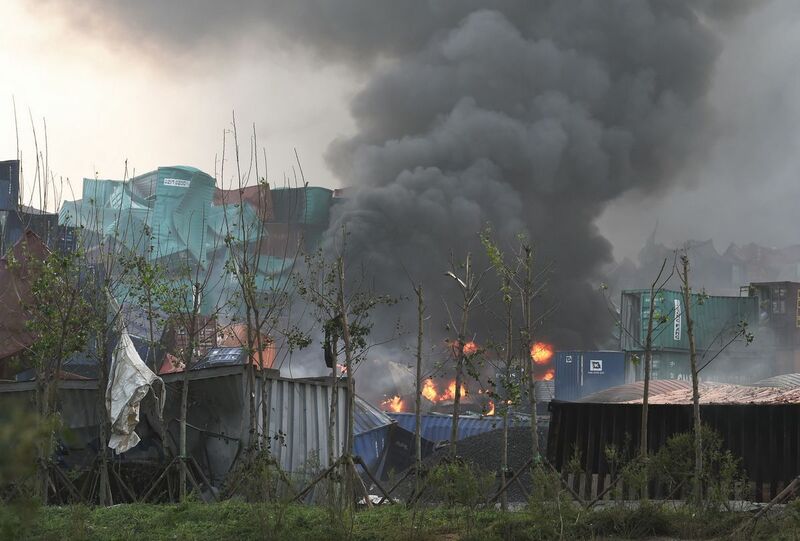 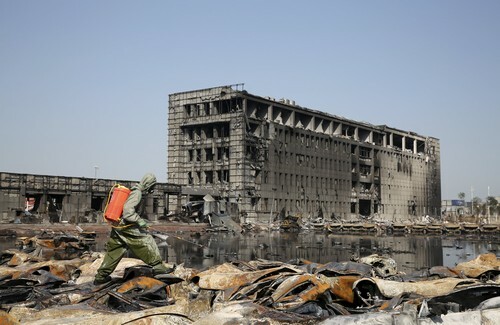 TIANJIN, China - Hundreds of tonnes of highly poisonous cyanide were being stored at the warehouse devastated by two giant explosions in the Chinese port of Tianjin which killed 112, a senior military officer said Sunday. 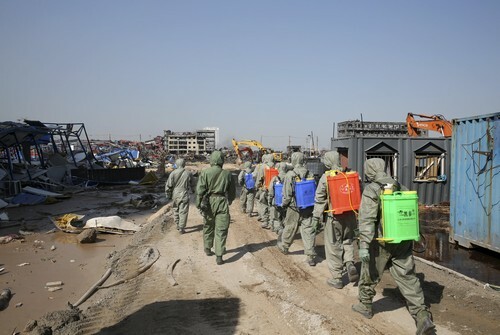 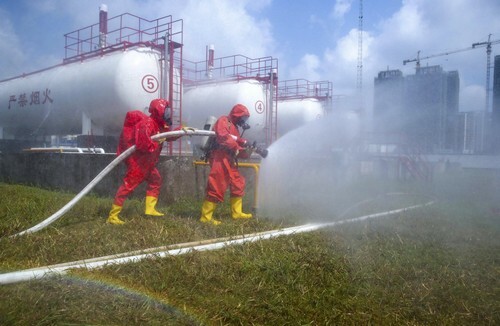 Officials have called in experts from producers of the material - exposure to which the US Centres for Disease Control says can be "rapidly fatal" - to help handle it, and the neutralising agent hydrogen peroxide has been used. 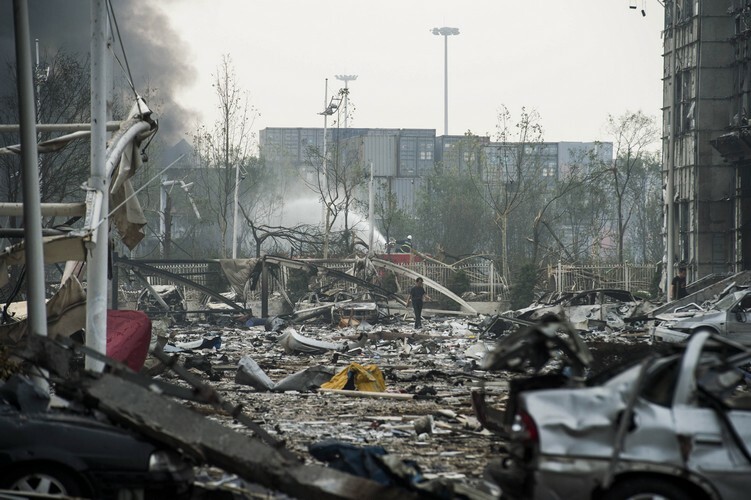 Chinese Premier Li Keqiang arrived in Tianjin on Sunday afternoon to direct rescue efforts, a move often made after major disasters in the country, official media reported. 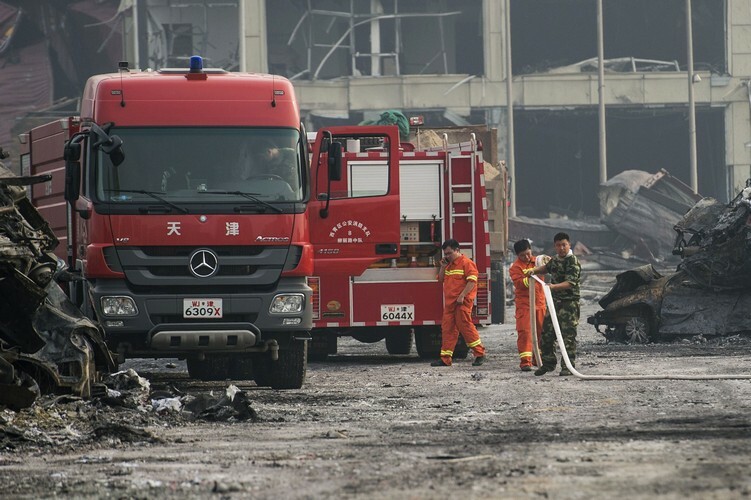 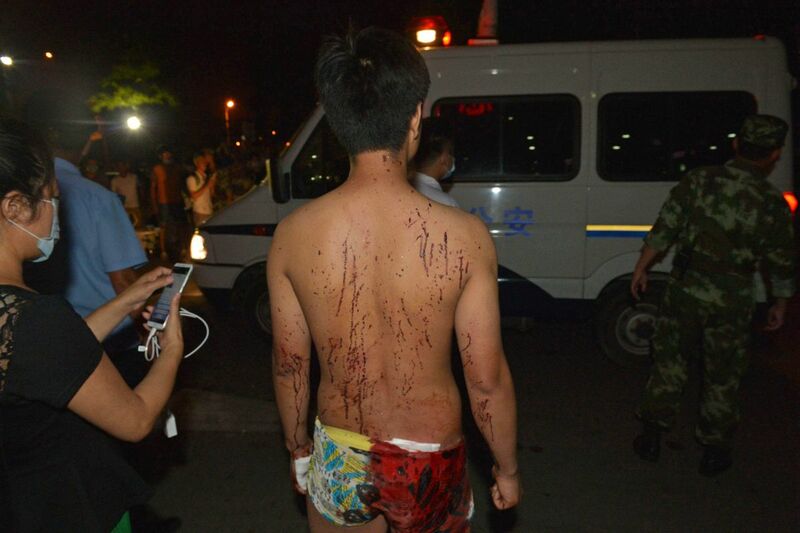 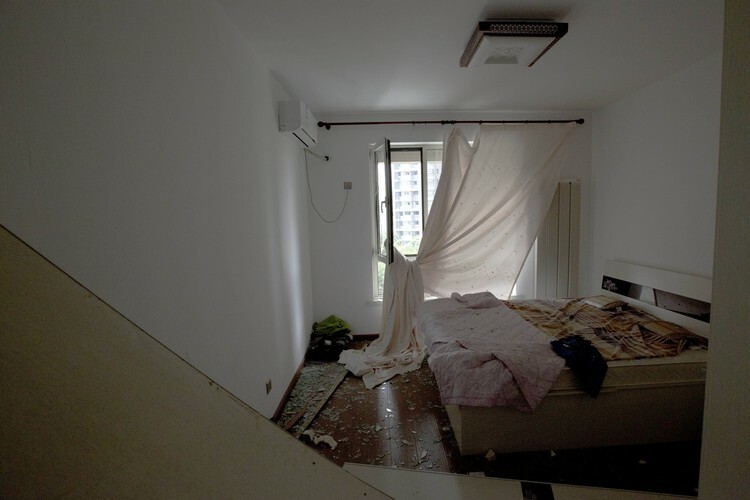 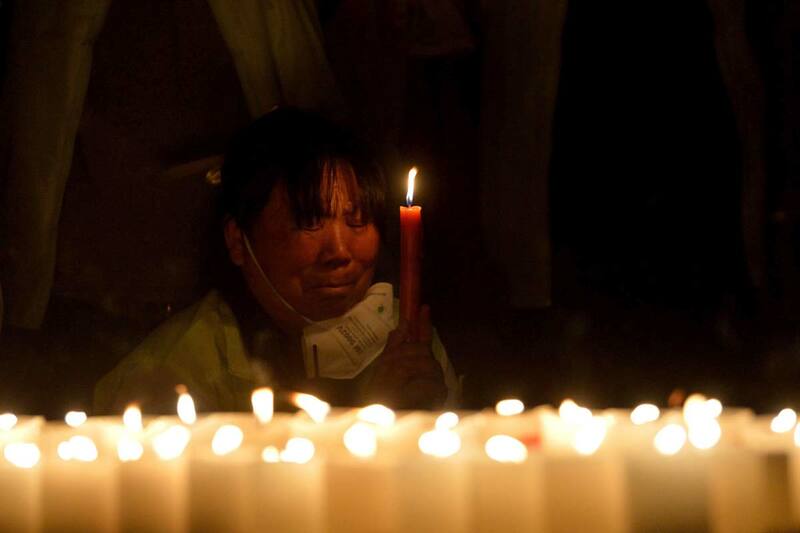 Pictures showed the Communist Party number two within a kilometre (mile) of the blast site, dressed in an ordinary white shirt and not wearing a mask. 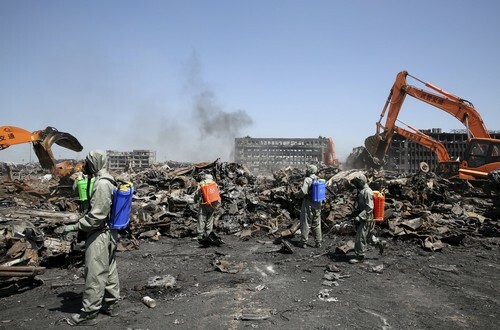 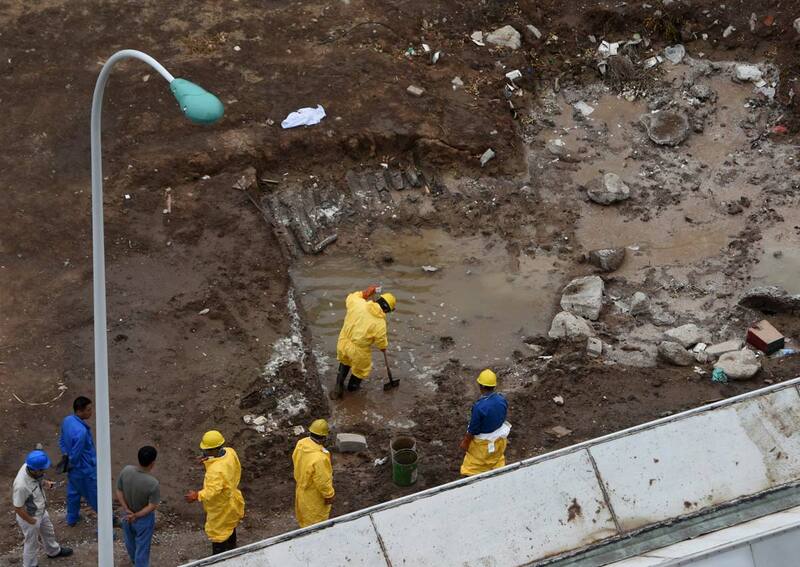 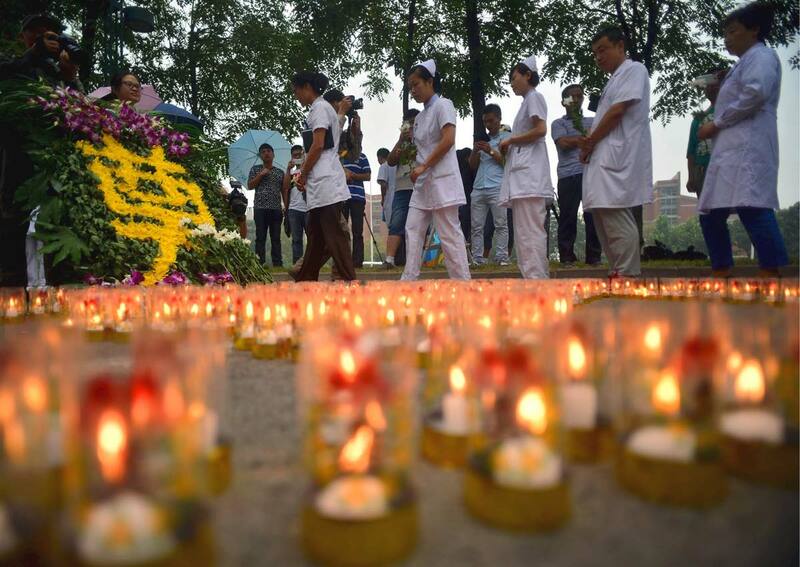 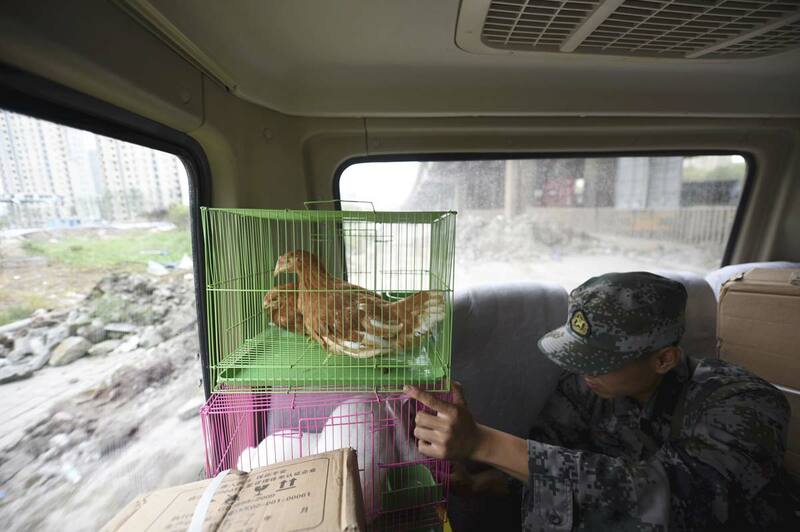 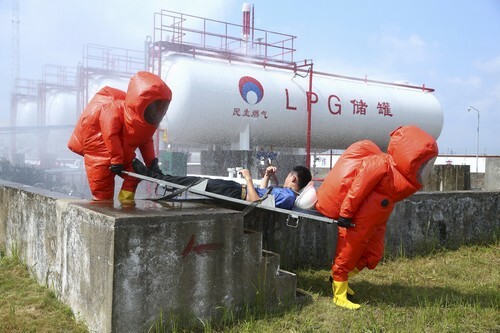 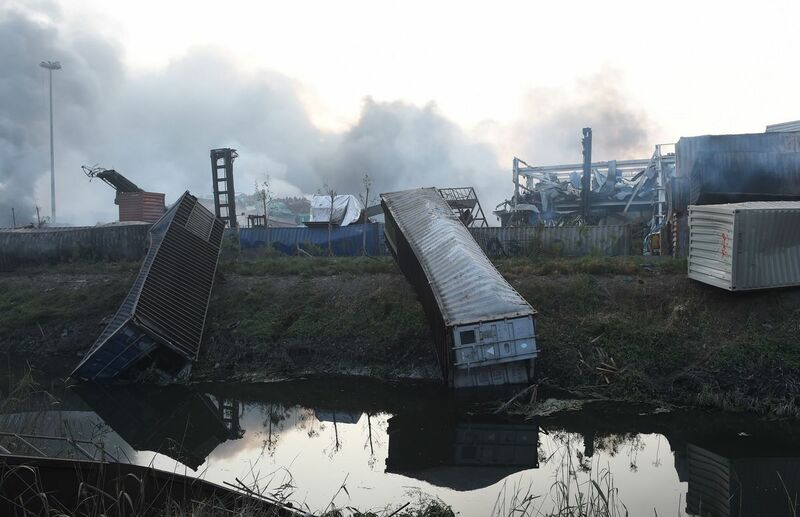 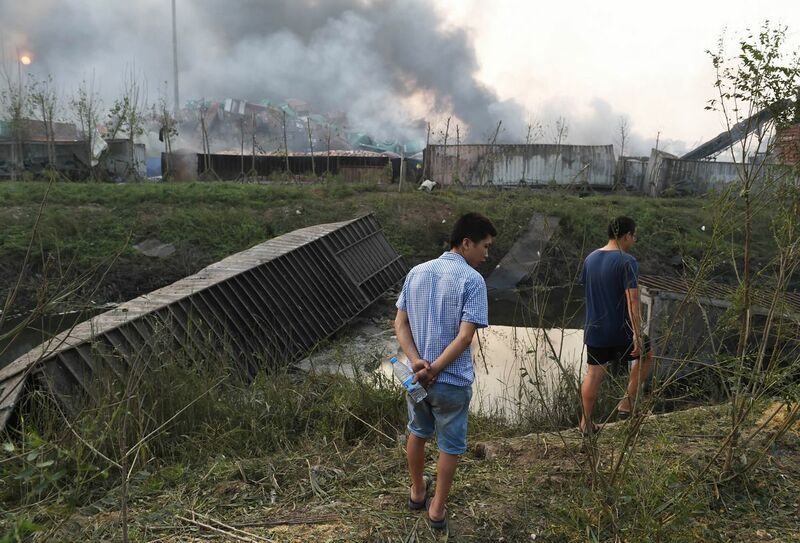 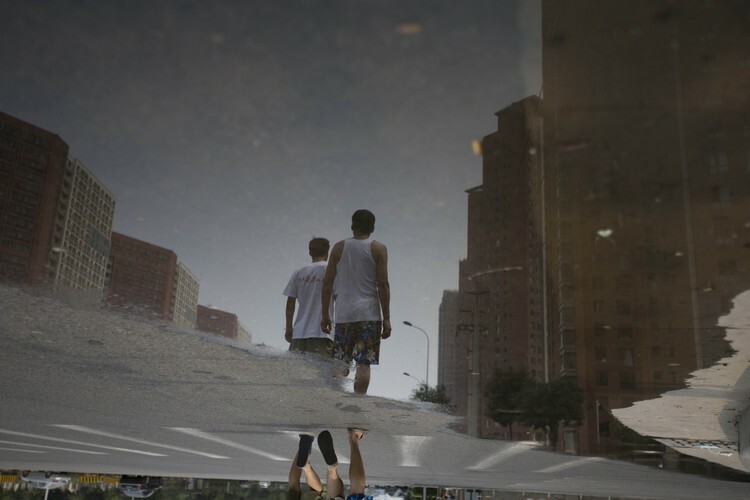 But the official Xinhua news agency reported late Saturday that cyanide density in waste water had been 10.9 times standard on the day following the explosions. 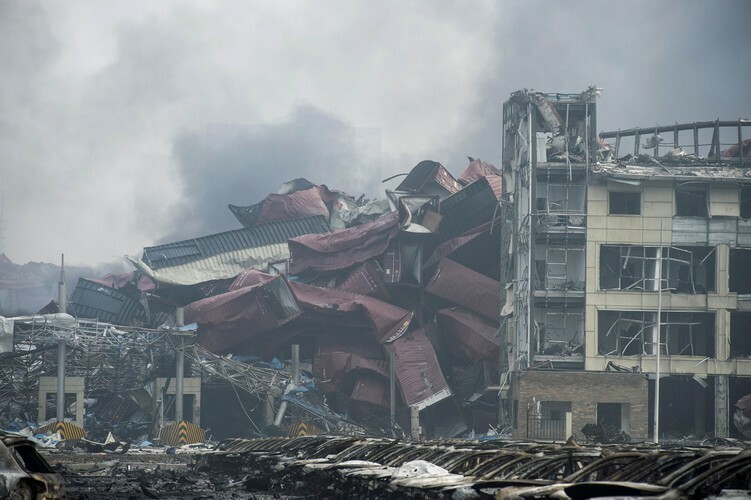 It has since fallen but was still more than twice the normal limit. 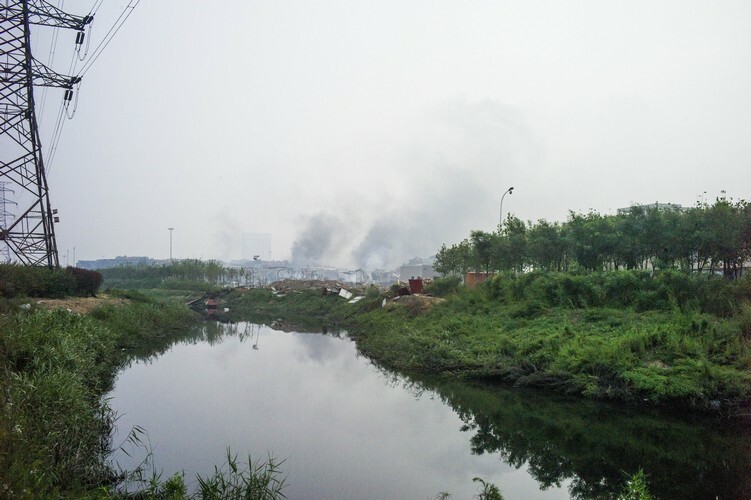 "These results show that local water supplies are not currently severely contaminated with cyanide," it said, but reiterated its call for comprehensive tests on the air and water and for publication of the results. 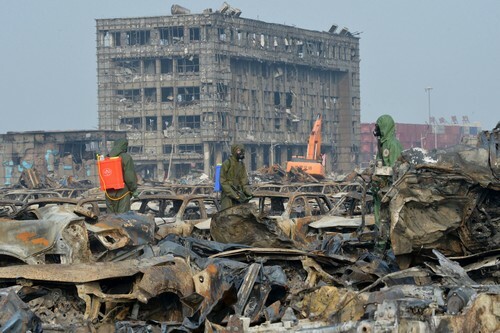 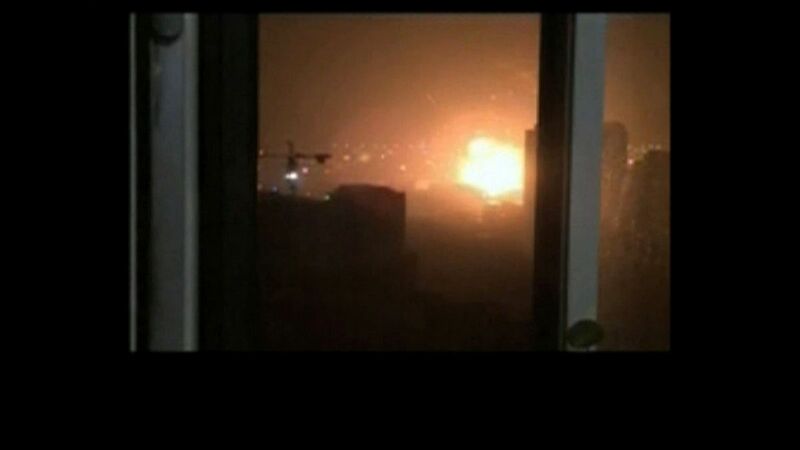 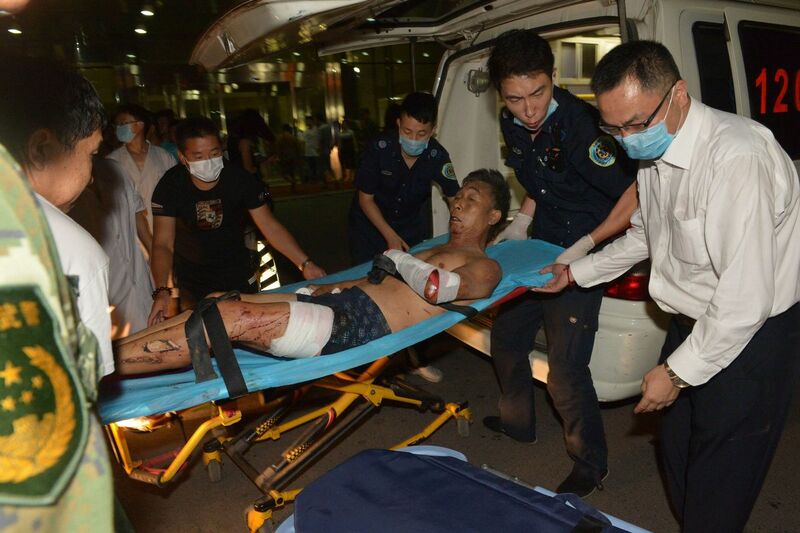 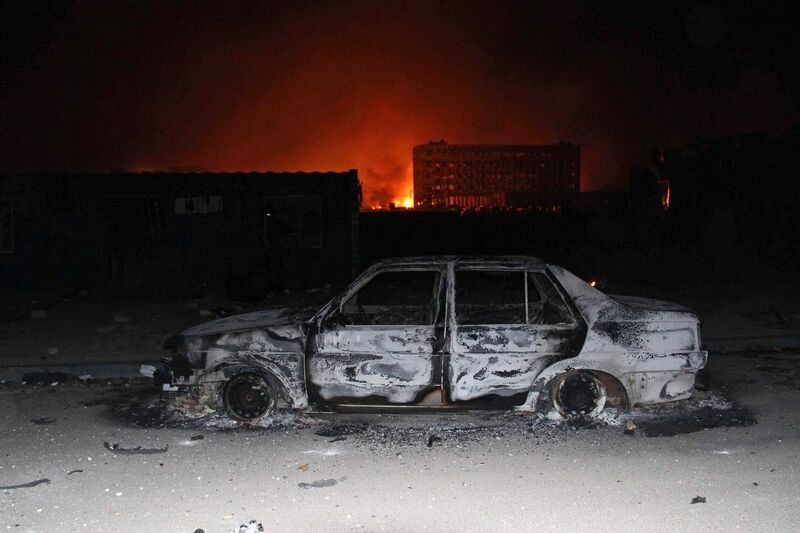 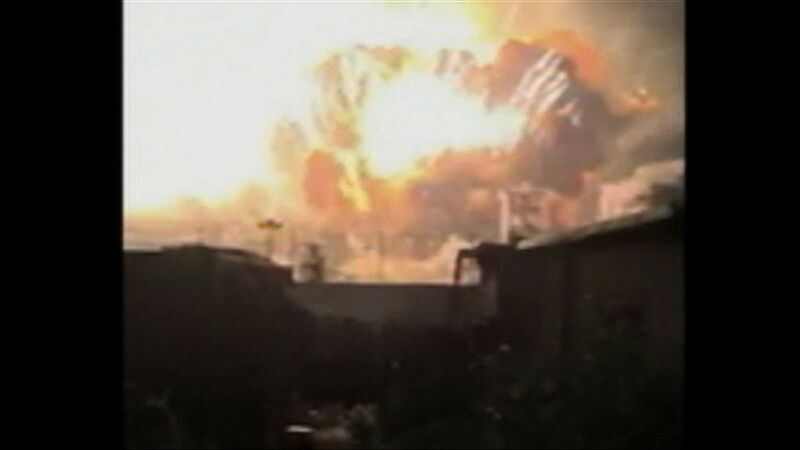 On Saturday a 3km radius from the site of the blasts was evacuated, state-run media reported. 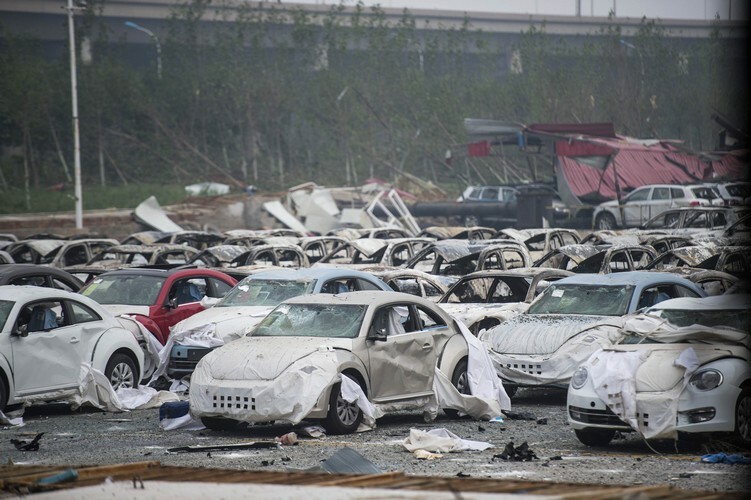 Officials said later the reports were inaccurate, but vehicles were turned back at barriers. 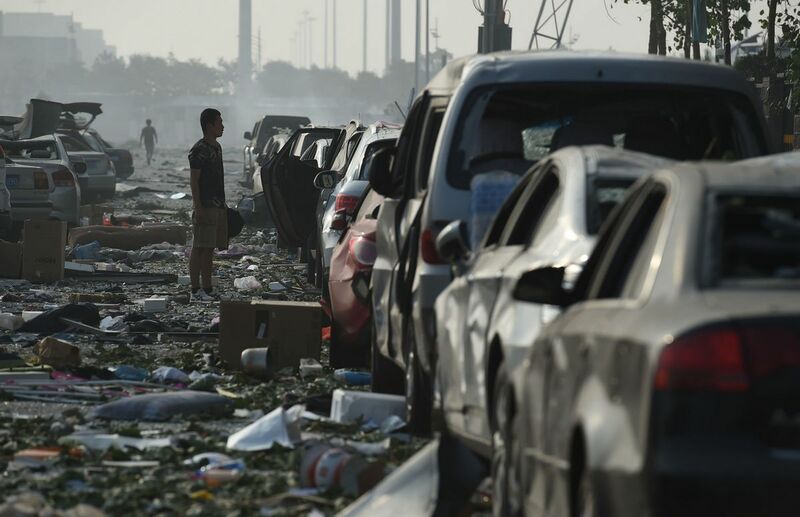 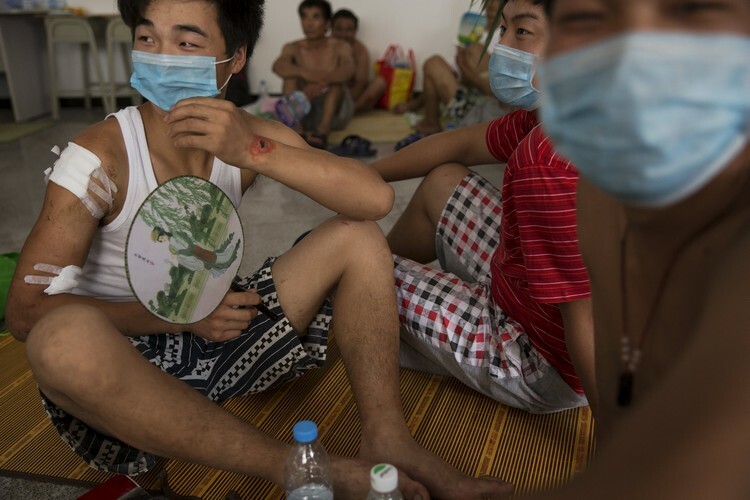 On Sunday AFP saw young men, carrying personal belongings, leave FAW Toyota apartments and board a bus waiting to take them to alternative accommodation. 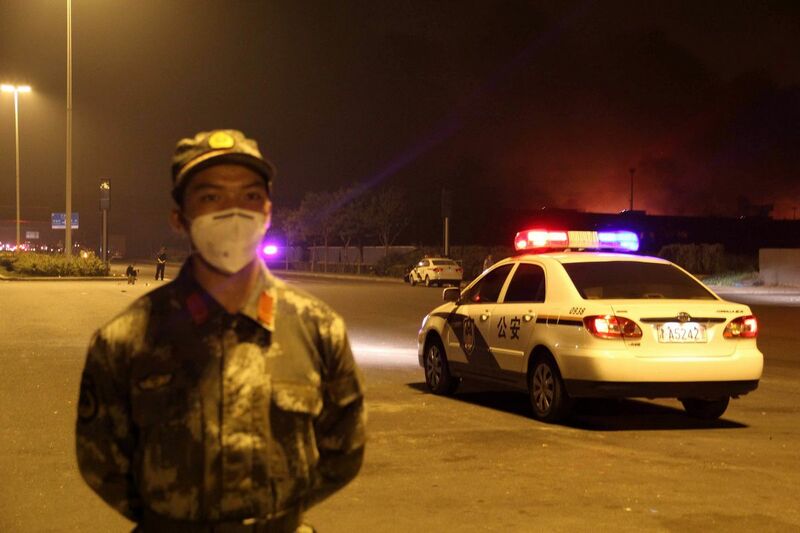 Police in masks could be seen at one checkpoint. 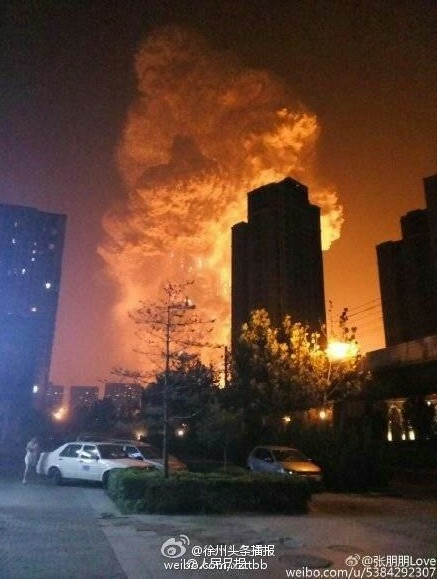 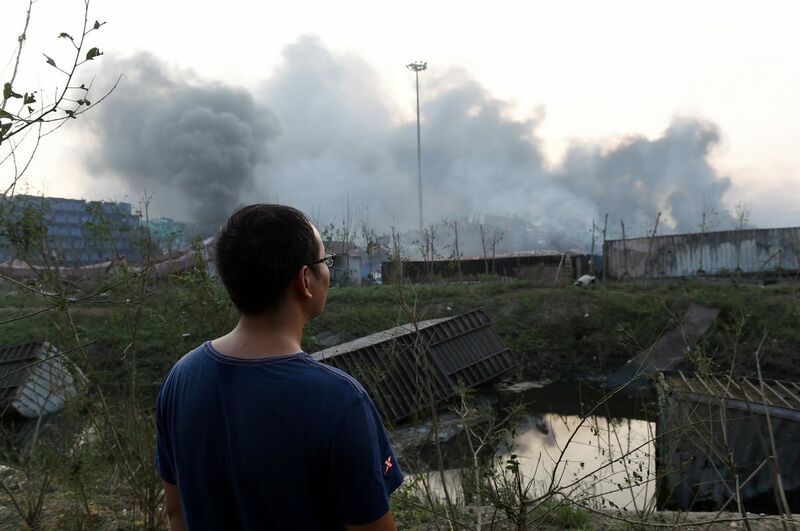 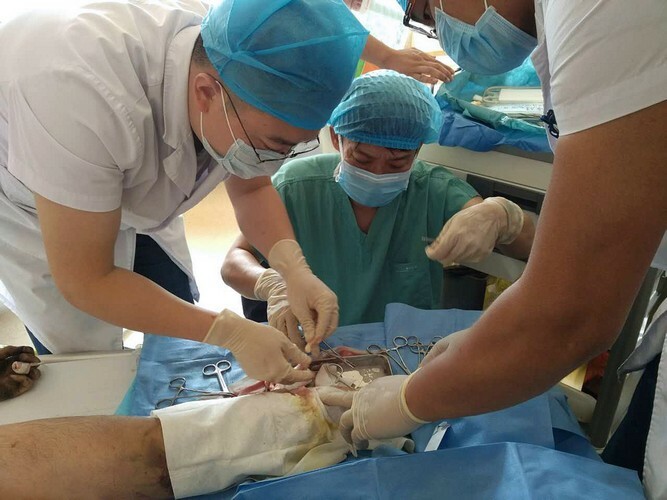 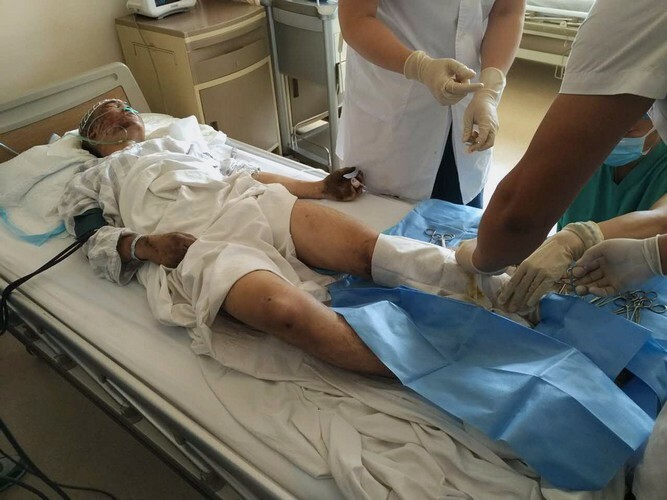 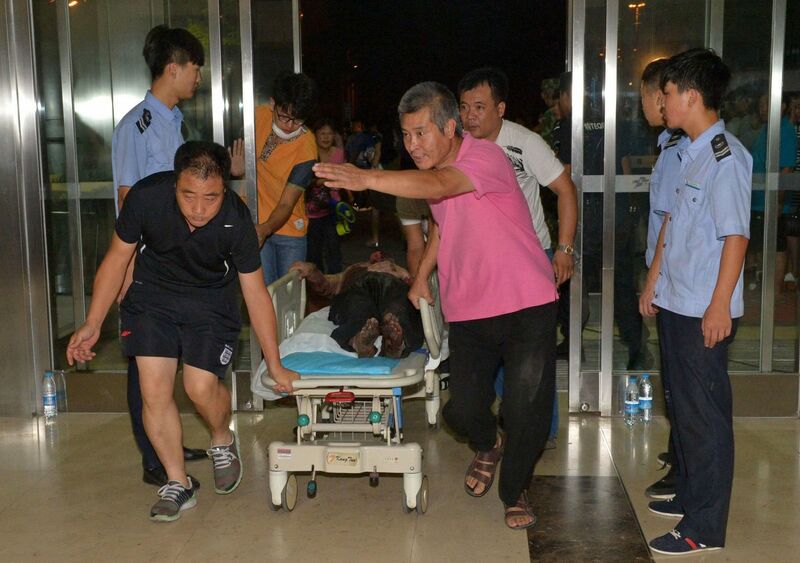 Steve Ra, an American who was evacuated by his employer to another area of Tianjin, said he was worried about the potential health effects of the blast. 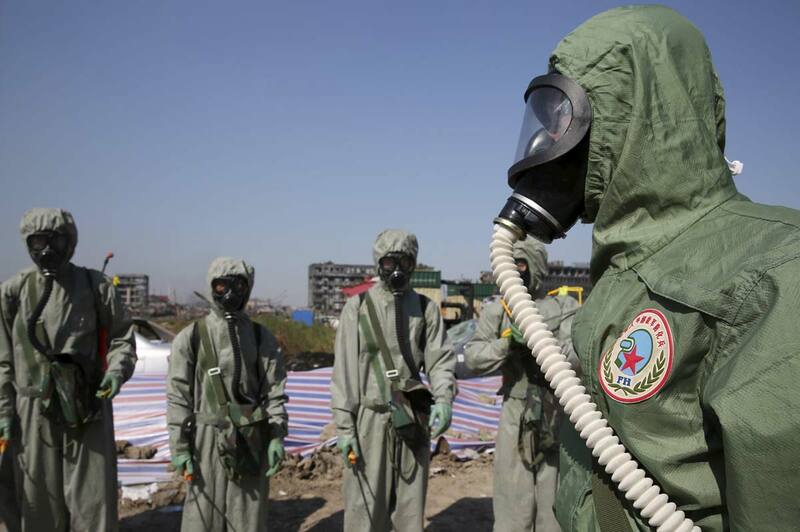 "The main concern is just the air," Ra told AFP. 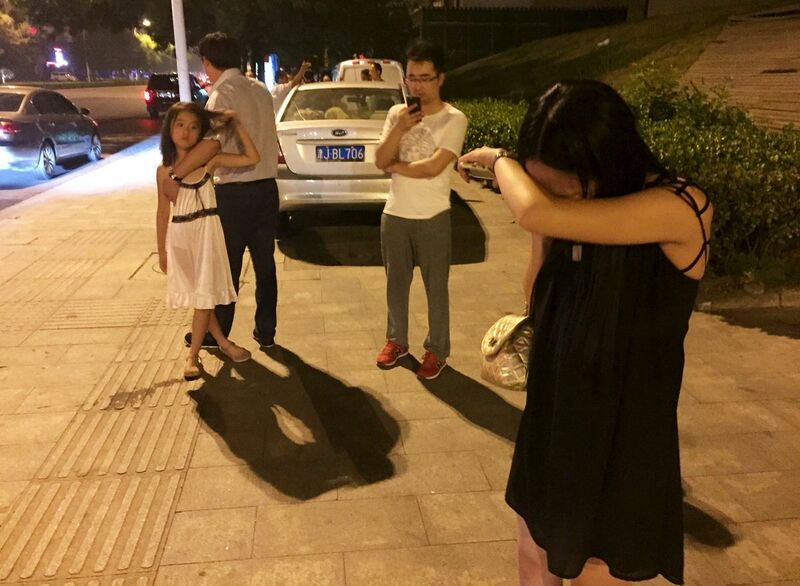 "I'm waiting to go back to get my normal life back. 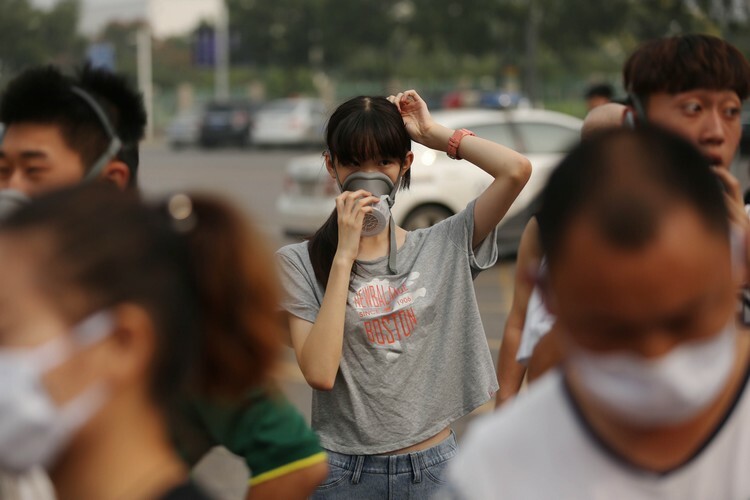 But I don't know what I'll be breathing so that's the biggest concern." 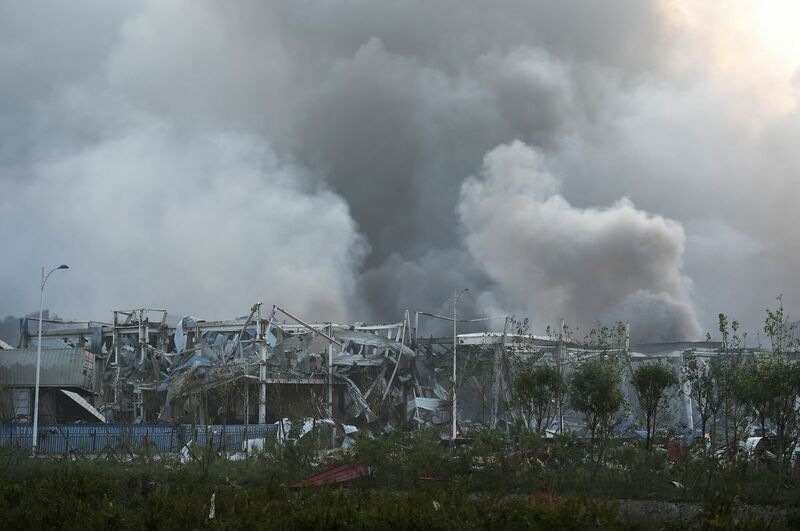 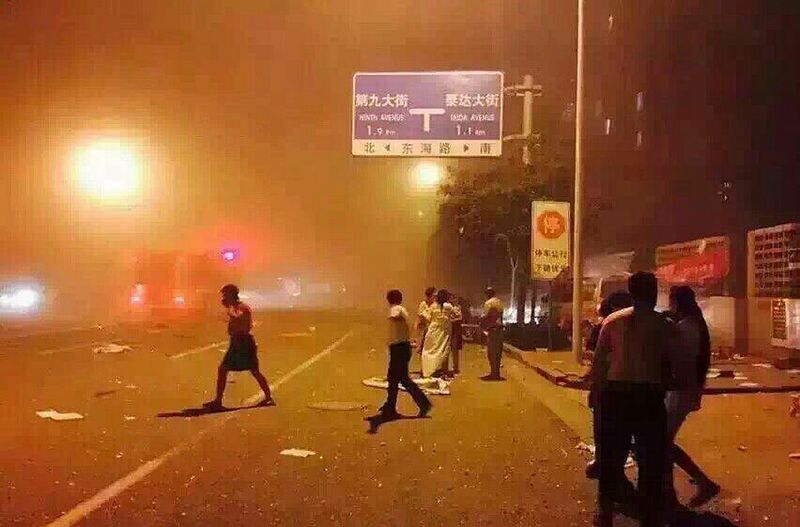 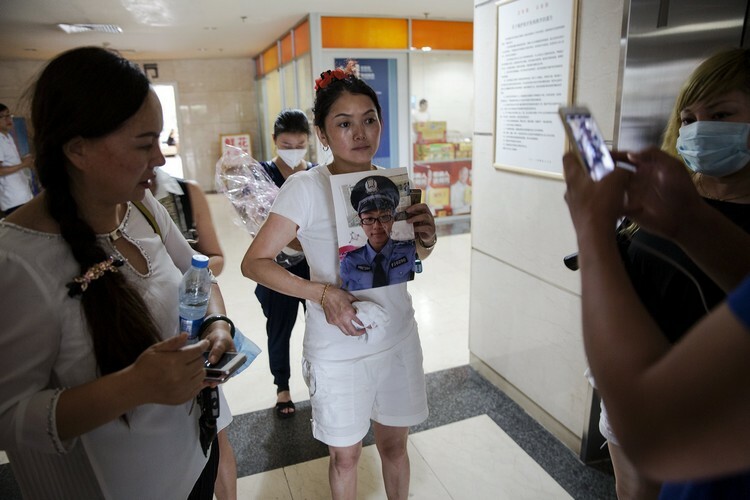 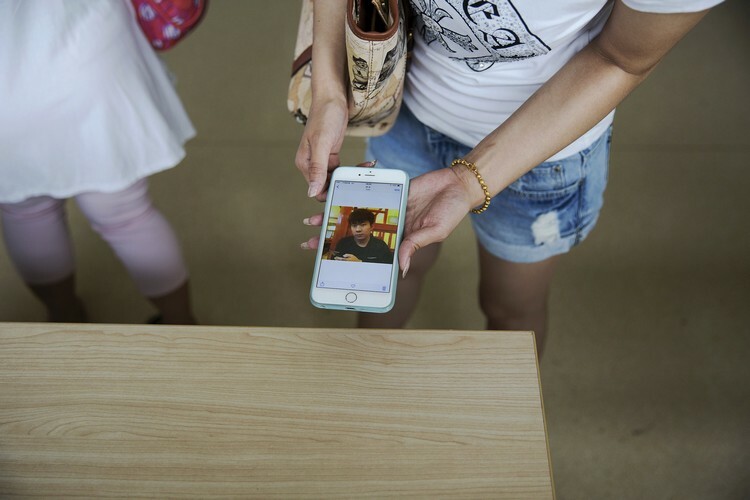 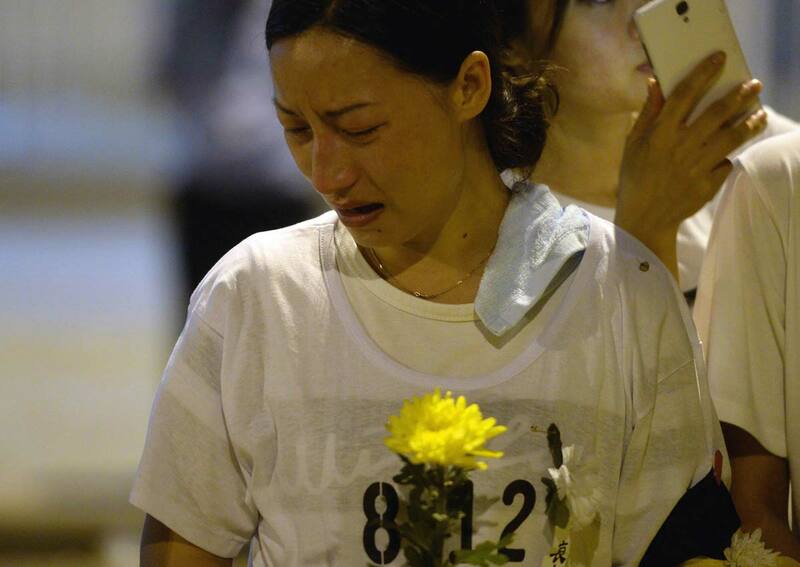 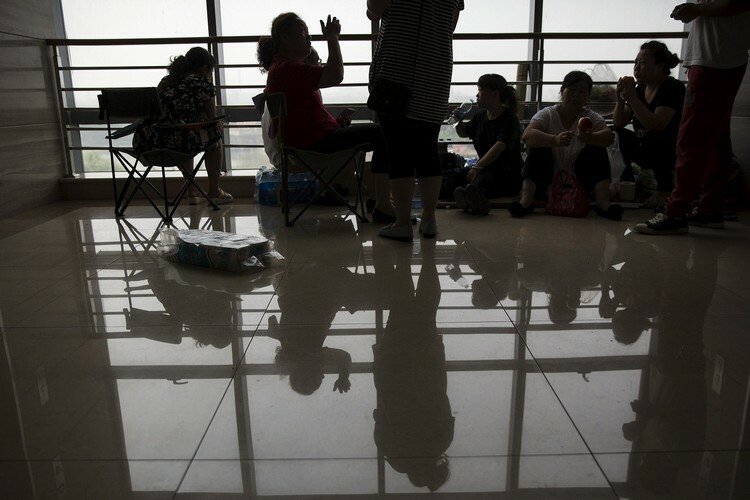 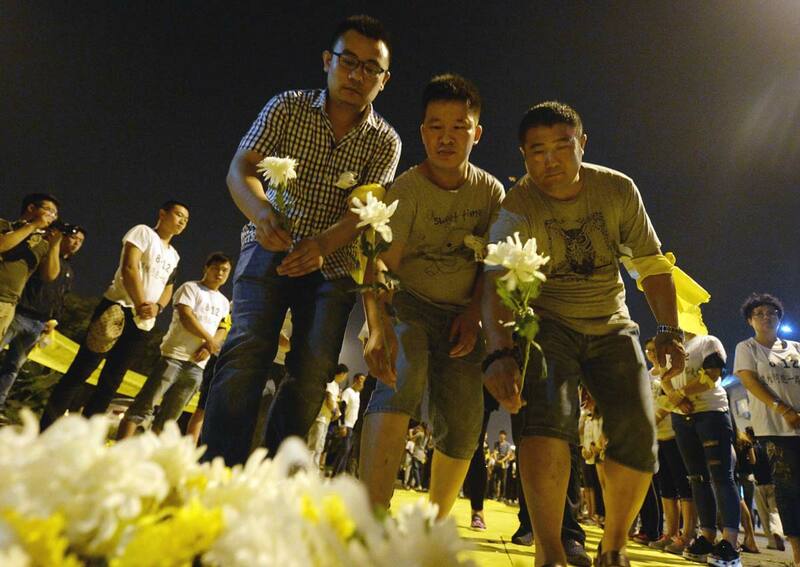 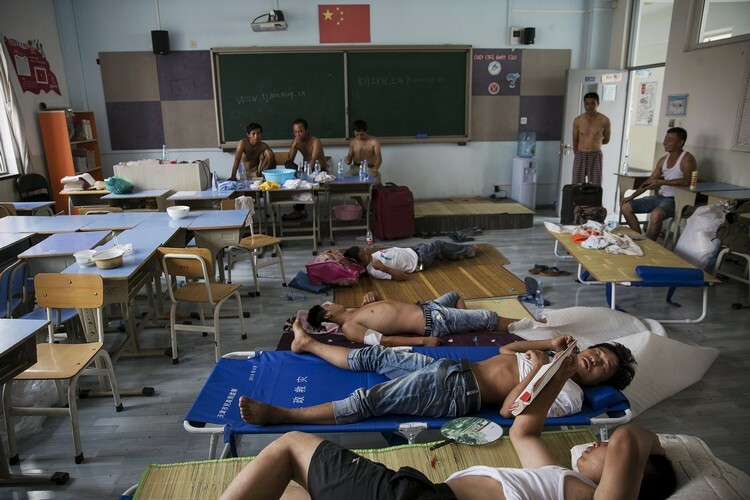 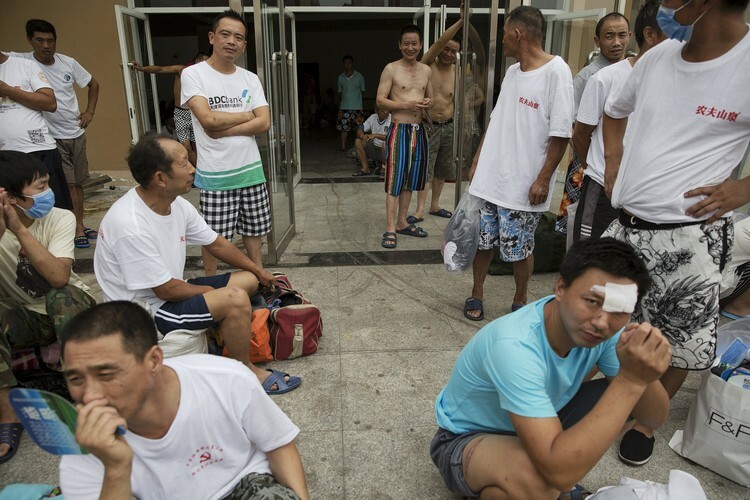 Tianjin residents, relatives of the victims and online commentators have slammed local authorities for a lack of transparency, and at one point tried to storm a news conference on Saturday. 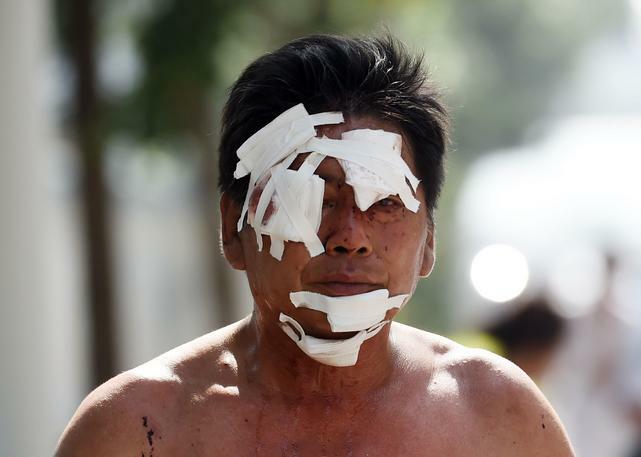 Another lashed out at reporters attempting to photograph him, saying: "Don't take my photo, it is useless. 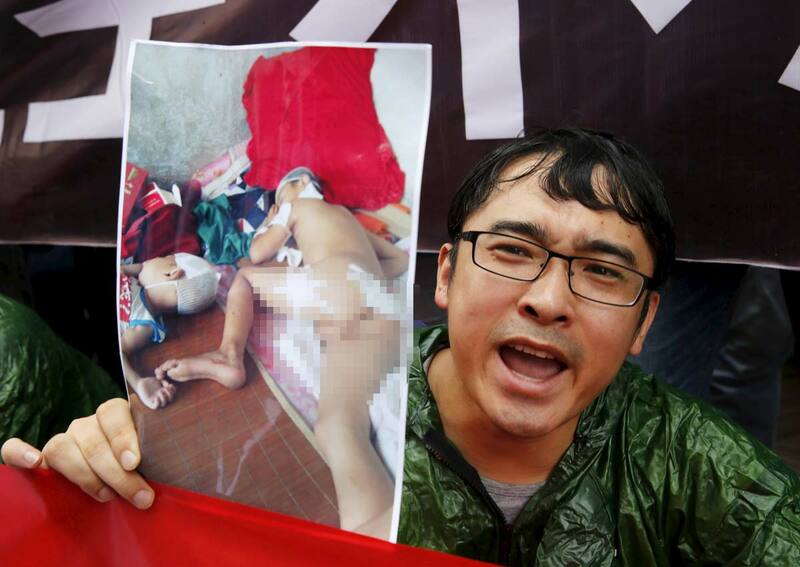 The news has no truth!" 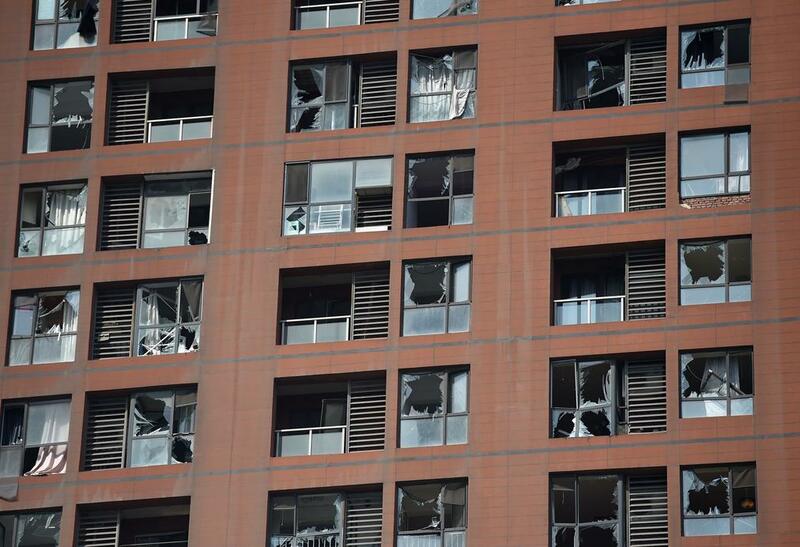 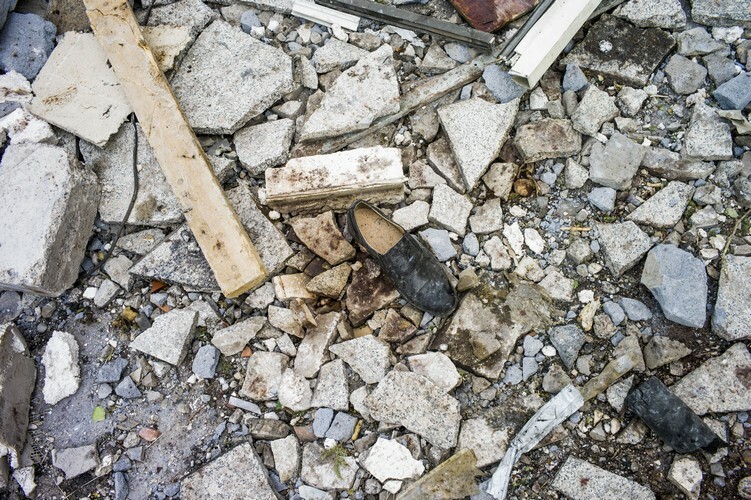 Outside, residents of a building damaged by the blasts held a protest. 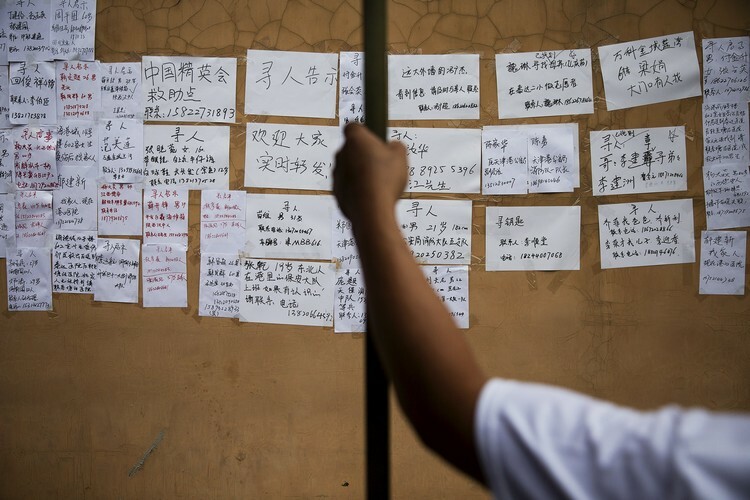 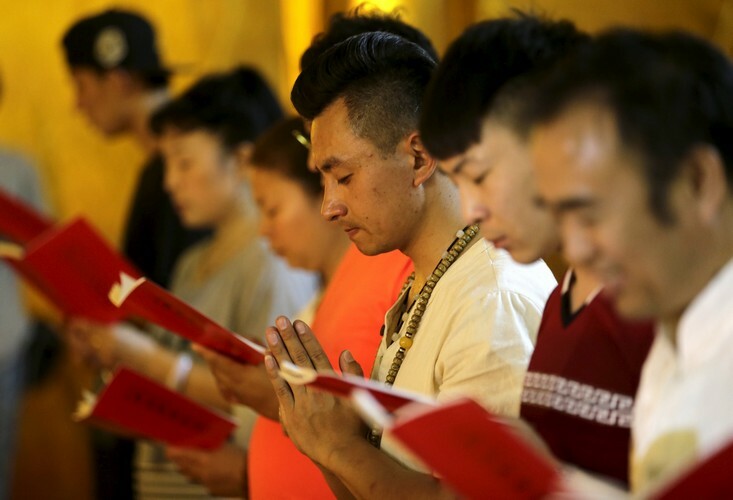 The government has moved to limit criticism of the handling of the aftermath, with a total of 50 websites shut down or suspended for "creating panic by publishing unverified information or letting users spread groundless rumours", according to the Cyberspace Administration of China. 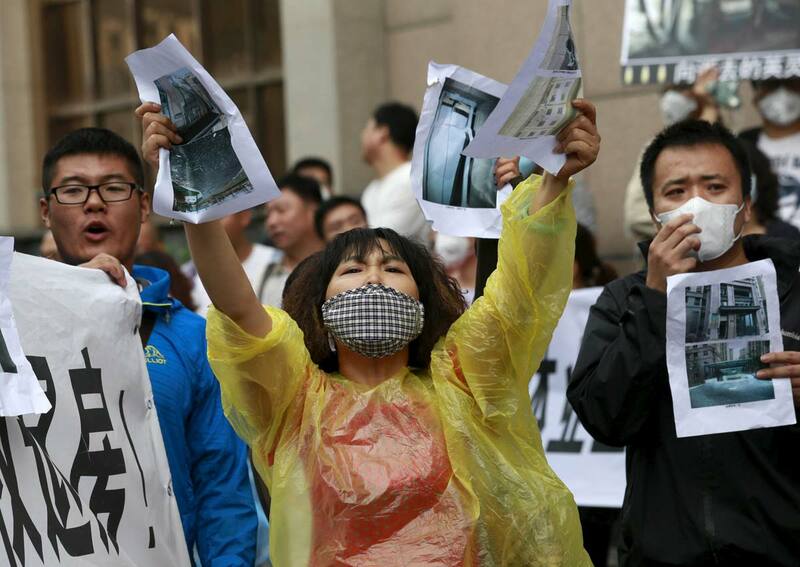 "The government is lying... You have lied to the people too much and made yourself untrustworthy." 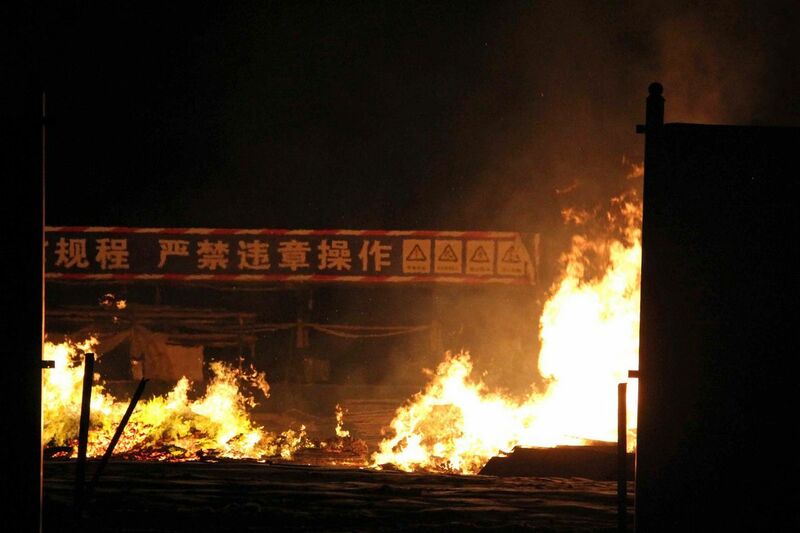 Another poster added: "No freedom of speech. 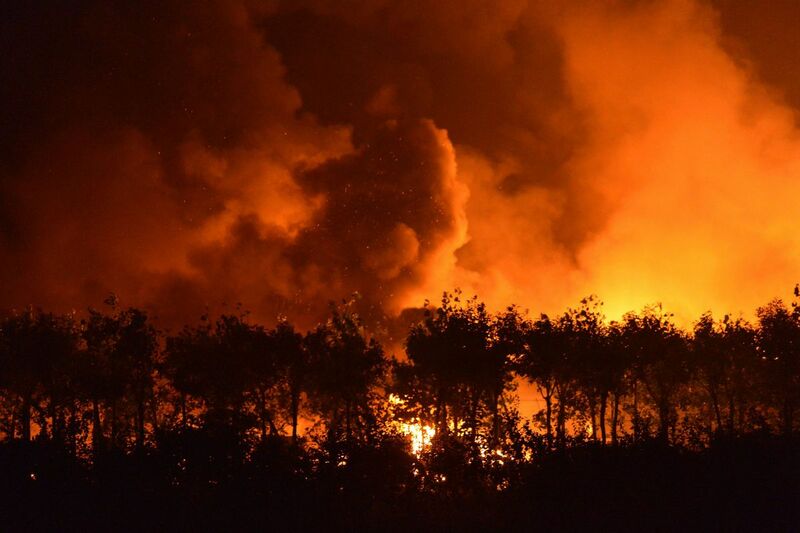 Words are blocked in various ways."